Recently Luciano Lombardi was approached to write some music for the health and wellness industry. 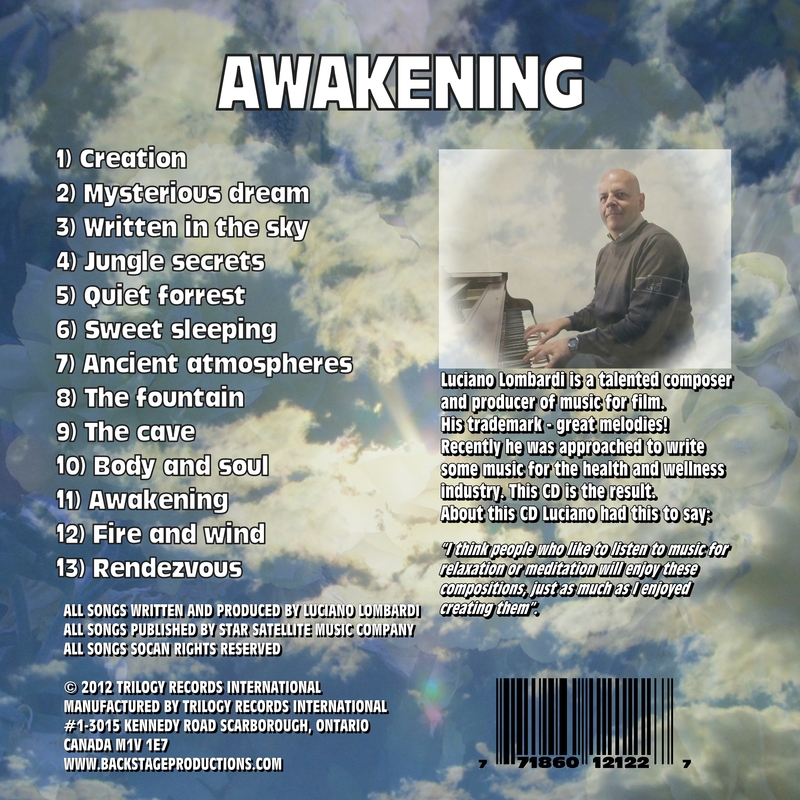 The result being a new CD entitled “AWAKENING”. Luciano had this to say about this CD “I think people who like to listen to music for relaxation or meditation will enjoy these compositions, just as much as I enjoyed creating them”. The new CD, which is available from Trilogy Records International, is slated for release 4Q12, it is also available now distributed digitally worldwide by The Orchard. The music has caught the attention of specialty Music channels around the world and a series of videos featuring the music from the CD are being produced. The resulting DVD will be a perfect enhancement for anyone who owns a plasma screen TV and would like to transform the often blank sterile frame into a piece of art with beautiful images accompanied by serene and dynamic music. 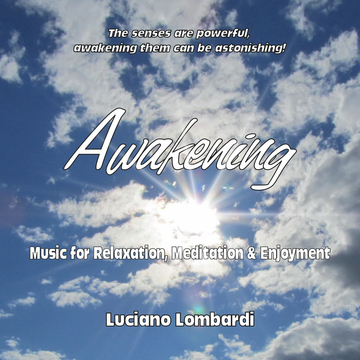 Click here to visit the Luciano Lombardi – Awakening Electronic Press Kit.